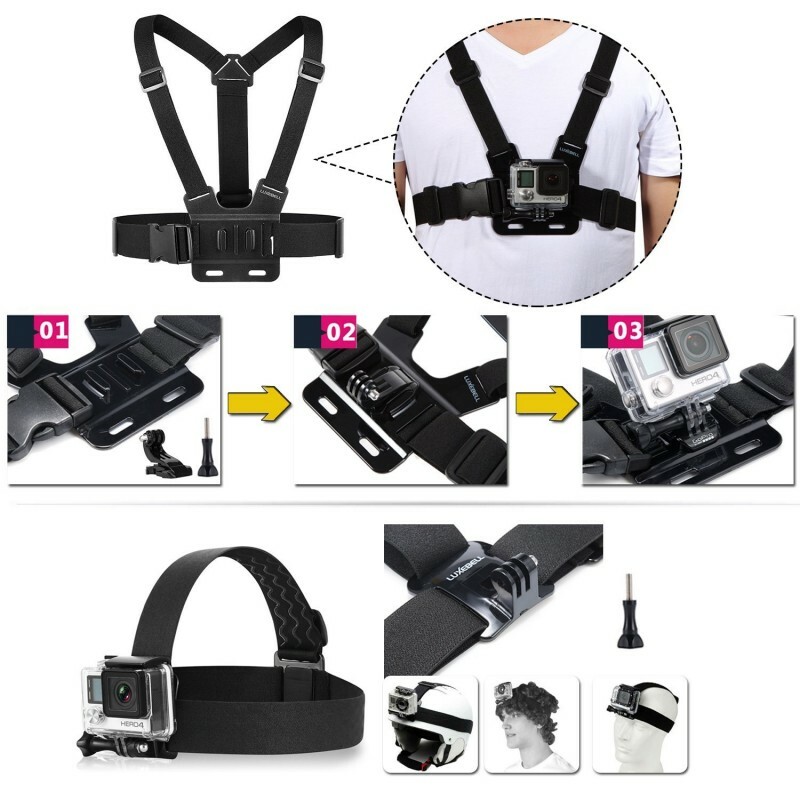 Chest mount with j-hook buckle and long screw. 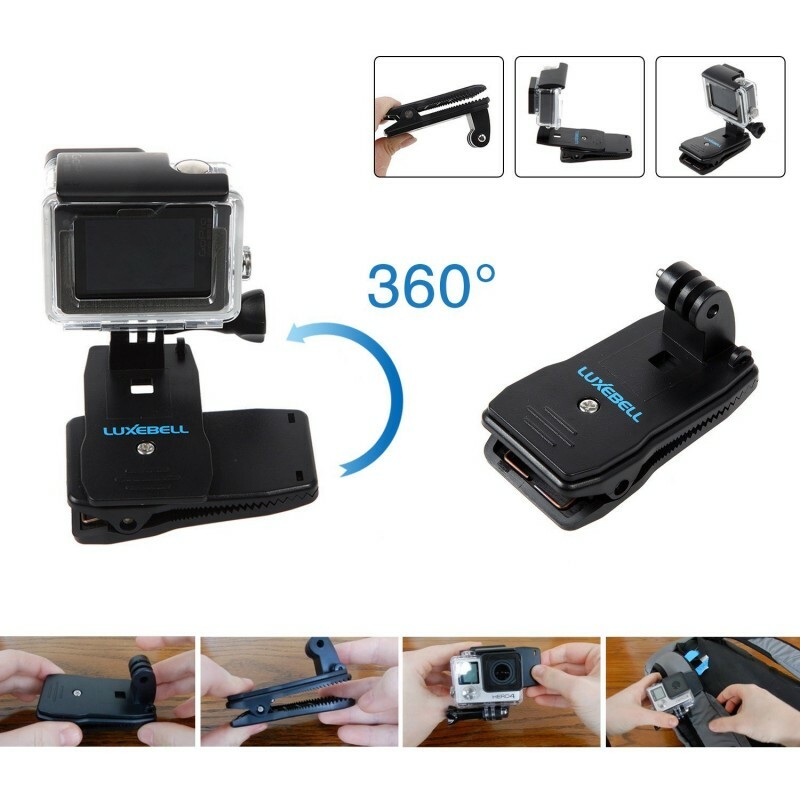 Head Strap + Long Screw. 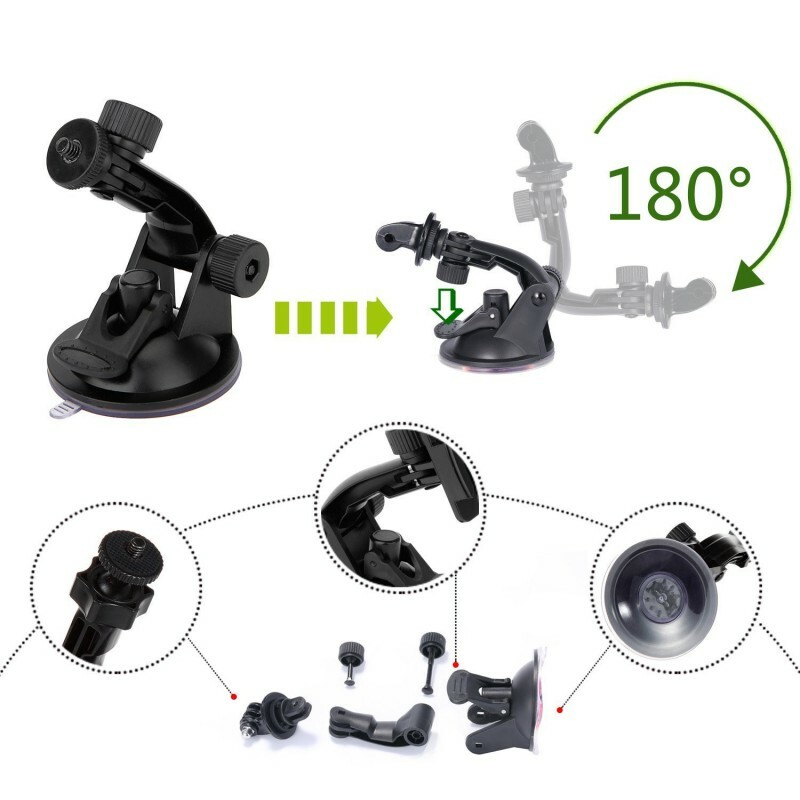 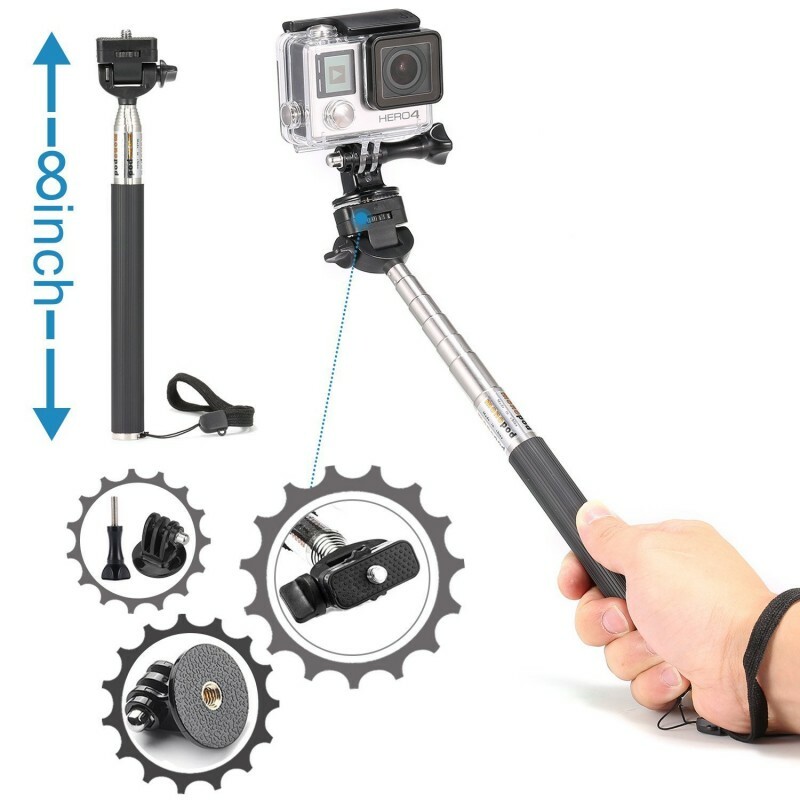 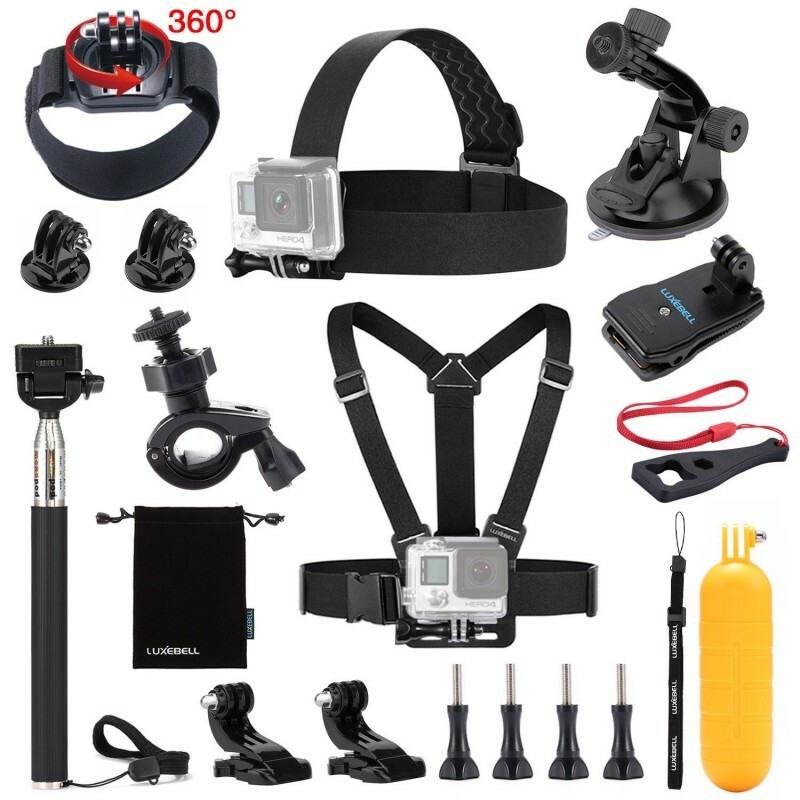 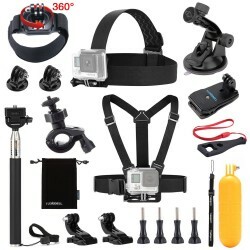 The adjustable head strap is compatible with all sizes GoPro cameras. 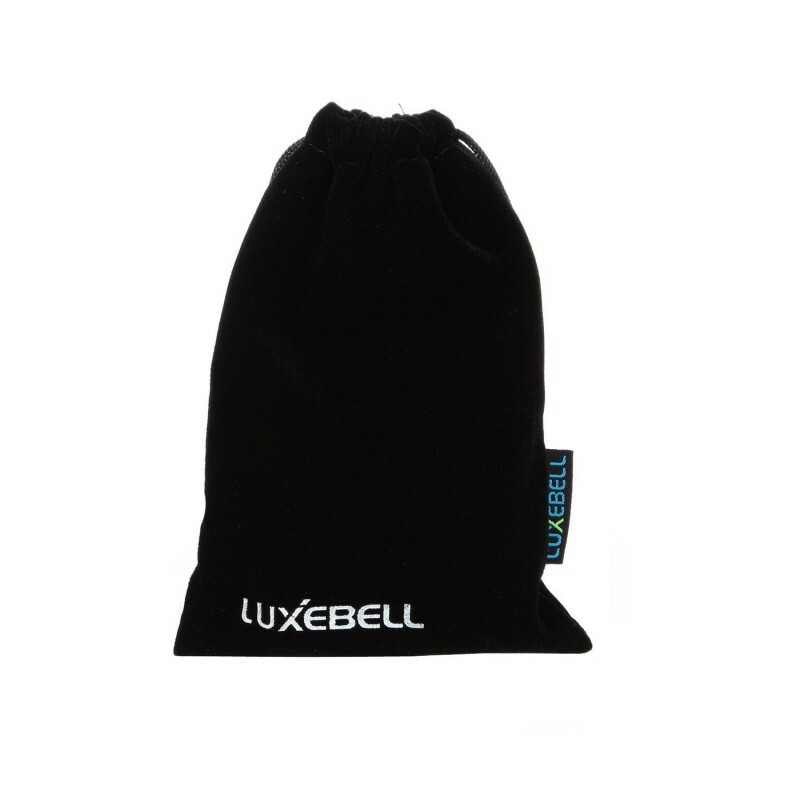 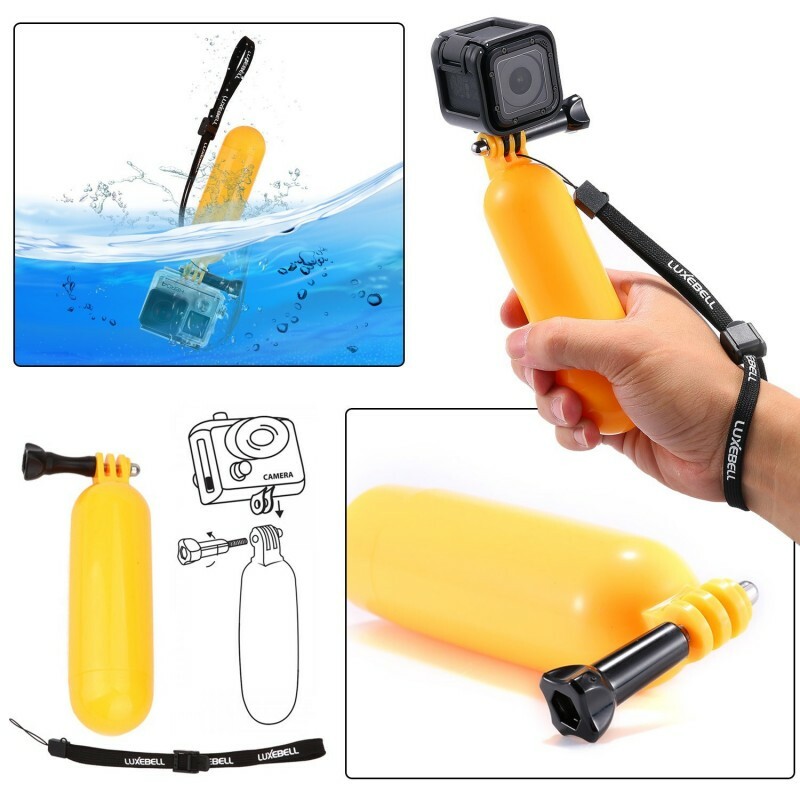 Floating handle grip is designed to keep your camera with a waterproof shell (not included)easy to float on the water. 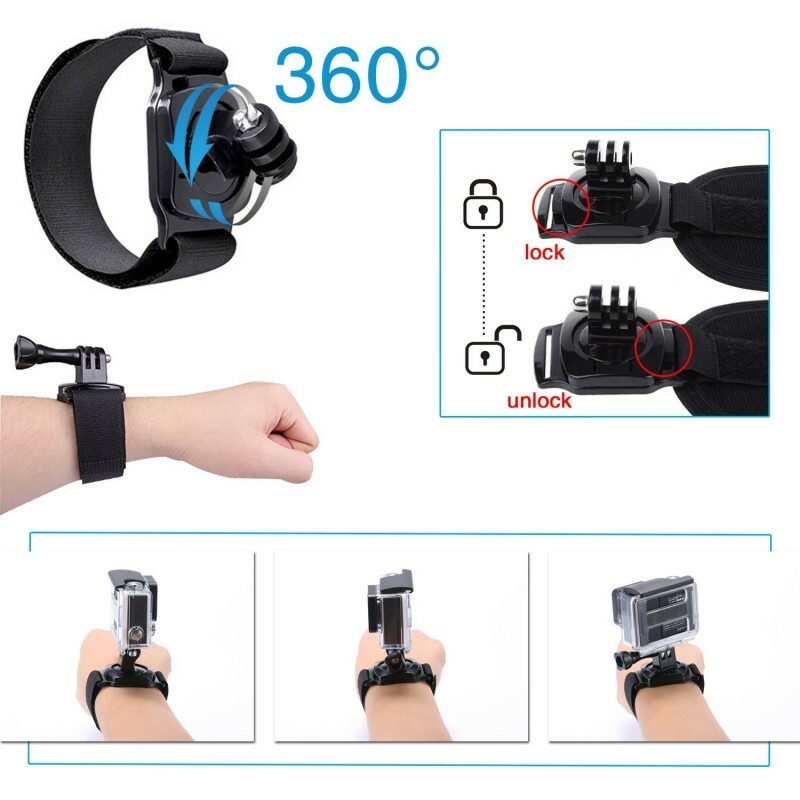 360 Rotary Clip Mount.Quick clip and remove to the waist belt, bag, etc.